"We need only ask ourselves which places -- which towns, which buildings, which rooms, have made us feel like this -- which of them have that breath of sudden passion in them, which whispers to us, and lets us recall those moments when we were ourselves." In the area of Pennsylvania that I grew up in, I have a place that I return to as often as my visits home permit, a place that fills me with such delight for all that is there. This place became a haven to me during my high school years, a place where no trends were being set, no in-crowds were needed, a place to go and sit or walk and gaze at the landscape, the architecture, and the history present in this place. I have enjoyed this place with my husband, my children, my mom, and an occasional friend over the years; it does not require solitude to be enjoyed. When I read this quote above, this place immediately came to mind. That said, I do enjoy being in other places, like my home and my parents' home, homes of good friends, along our backyard river and in the woods. Also small bookstores, map shops, plant nurseries and being with church family bring me delight as well. Places to be ourselves, but the renewed version of ourselves, as our pastor said this past week, that give you a glimpse of what you look like without sin. Now that is a glorious thought. 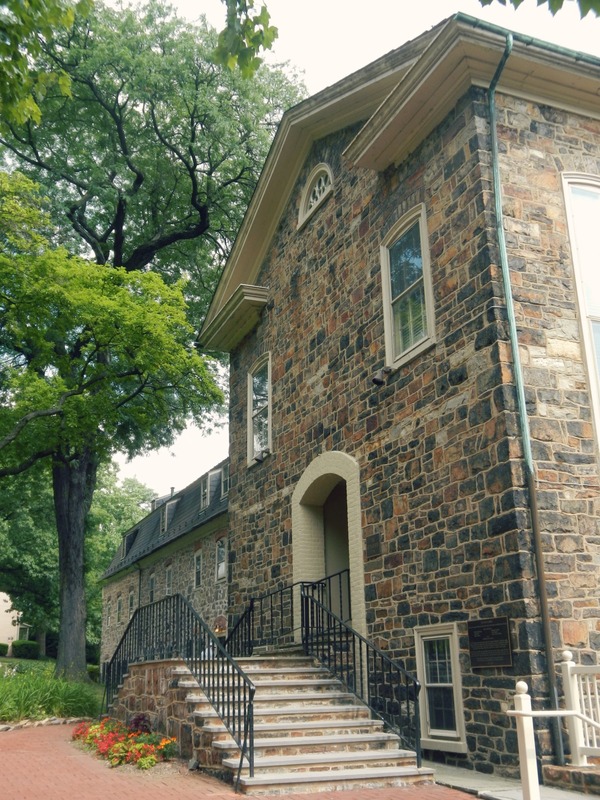 This is part of the Moravian Church grounds in Bethlehem, PA. I meant to say that, but forgot until now. * My third paragraph made sense to me when I wrote it, but now that I've reread it a couple of times, it seems off. I'm leaving it because hopefully someone gets my point, that as followers of Christ, the more we put off sin, the more and more we resemble Christ and we get glimpses of what our fully renewed self will be like. Anyways, I hope this is clearer, lest anyone thinks I'm promoting something heretical about sanctification. Seth, Laura and I attended a Lego contest hosted by the Canada Aviation and Space Museum last week. Kate stayed with our dear friend, Gerda so that I could relax and not have to keep her out of trouble. We had a good morning together participating in the Lego activities and then going through the museum. This is our second time at this museum; last year we went to the same Lego event even though Seth wasn't registered. This time, they were both registered to bring a space themed Lego creation. Seth did so well talking to everyone who came by to see his elaborate Lego set-up. I was so proud to hear him interacting with both museum staff, his peers and other interested parents and students. Laura was her usual shy public self and talked to no one, although she did shake her head in respond to some questions, but that was it. You would have never known how much of a chatterbox she can be from her time behind the table. Definitely different personalities in these two, but they still enjoy playing together, except for when they don't. Ha! These photos are all from this past week. Shane and Seth built a bobcat from Lego Mindstorm which Seth can remotely control. He's been practicing picking up small items and Kate is always standing by to 'assist'. You can imagine how that is appreciated. My parents and uncle had a lovely spring bulb flower bouquet sent for my birthday this past week. Here is what it looked like before I distributed the balloons. Note Kate's socks and leggings. She is quite a character when it comes to dressing and wardrobe changes. You never know what she is going to come downstairs wearing next. And sometimes she is told to go back up and change for various reasons which is not usually what she wants to hear. The middle part of this week brought mild temperatures so we all headed outside to take advantage of it. I shoveled off my flower bed to hunt for any signs of green and I was rewarded by a few sprigs. Seth and Laura took to the packy snow and worked on various projects, including Seth's snow fort. Kate walked around with a doll stroller after loitering around all of the neighbor's front doors where kids live. I told her to move along and stop staring in their front doors. Nosy neighbors are the worst! One morning this week, I came downstairs after having had my shower and here the two girls were sitting coloring together on the same chair. Laura explained with a cute smile that they liked sharing chairs. Alrighty then. Seth took a turn with a short-lived stomach bug but seems to be on the mend already. But it lasted long enough to excuse him from most of his independent work yesterday and today. Although we did do our Morning Time today, so he didn't entirely get to slack off, but it is Friday after all and we've worked hard all week. Here's a few more photos of my beautiful bouquet which is just getting better with each day. Thanks again, Mom, Dad and Uncle David. It has been a wonderful gift to enjoy. who arrived at a distant museum in need of a quick pee. that made her thudding, wedded heart go crash. and silently, hurriedly, sent its mobile cargo waaay down south. Oh! But, how could she explain this to the hard-working head of her loves? Calm and kind he indeed was, now if only she had packed some long rubber gloves. A new phone has been secured, her innocent purse declared unfit. No more shall it store this pricey, absorbent, electronic bit. "The child's world is a single indivisible world in which all creatures, human and animal, live together as equals. Instinctively he feels this to be the truth -- as indeed it is. But in order to understand it, in order to learn how it works, we need to examine it bit by bit; and so we take it to pieces, separating it into its various layers -- its species and subspecies, its races and classes. At school I learned how to distinguish a verb from a noun, a Cavalier from a Roundhead, a logarithm from an antilogarithm and an atom from a molecule. When we have finished studying the world this way and have learned all we can about it, perhaps we remember it as we once knew it. But can we ever put it together again?" Despite possibly disagreeing* with Milne over what he meant by humans and animals being equals, I thought he made a very poignant observation in his observation that we may remember it as as we once knew it in reference to the way that children know the world around them, natural or man-made before they study it in their lessons. Milne's description of his school lessons reminded me of analytical thinking that Karen Glass warned against by way of Charlotte Mason in her book Consider This. And of course, his final question echoes again the merits of learning as a whole, not separated into fragmented areas of study. Any further thoughts on any of this is always welcome. *While I may disagree with him at times, I must say that I have thoroughly enjoyed his writings and miss that time spent reading him. 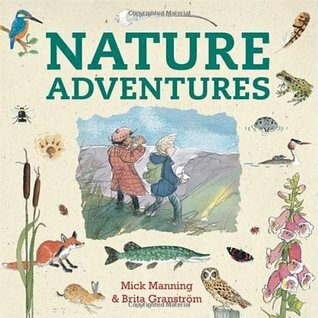 Coming straight from the British Isle, this nature book combines the land of the poets and the land of nature with illustrations that draw me in to examining every detail with delight and interest. I've been renewing this book with the intention of using it to help me practice my drawing skills. But so far, no drawing has happened. There are bits of poetry and lyrics interspersed among the illustrated natural elements quoted by the young explorers depicted in the book. And it works. I love this book. I read this book while standing in front of the holds shelf in our small village library branch. (The intended borrower's last name being close enough to mine so that I could hardly help but notice what they had requested.) 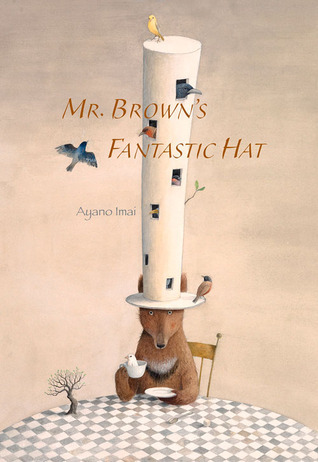 The story of a lonely bear who wears a hat that grows into a birdhouse of sorts is clever, but it is the ending that really made me smile at this book. The illustrations are warm and soft and just right. This author/illustrator has other stories and retellings that look just as delightful. I'll keep this short. I had never read this book until a couple of weeks ago. I hang my head in shame. It was wonderful and my youngest stuffed animal loved soaked it all in as we sat on the couch and read it together at her request. 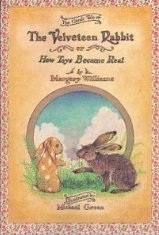 And afterwards, the bunny I made her for Christmas became The Velveteen Rabbit. What a dear little story. Don't be like me and wait until you're old to read this. Another Brian Floca book. Another home run. 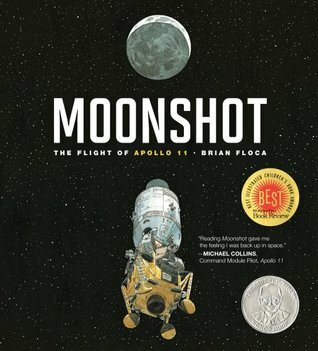 This time the story of Apollo 11. It is a great retelling, suitable for good range of readers. There are diagrams and explanations for older readers and the rhythmic prose and onomatopoeia words for the younger crowd. And the illustrations take you to the moon and back. Look for his other books, they are all great. Let's just say, that when I read the page B is for Binary, the whole concept finally clicked after years of being married to an electrical engineer turned software engineer. The examples and charts totally made sense to me. 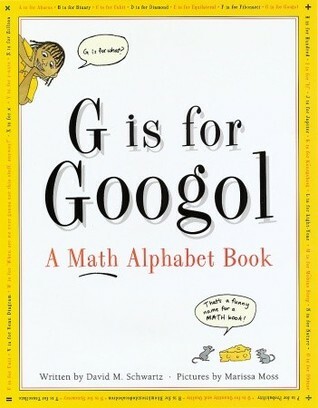 Of course there are other great pages and math concepts explored and explained, but I will always praise this book for giving me a binary breakthrough. An interesting book idea and well executed. It's a good book to add to a Morning Time routine, reading one or two letters a day together. 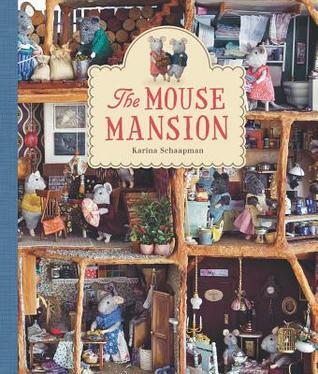 If you have a small person who loves Sylvan/Calico Critters or similar creatures in your home, this book will be poured over and plans to recreate the mansion will be talked of for many days straight. It was a winner and has been asked for us to get our own copy, please. The story follows in chapters two mice friends who have various adventures in and around the mansion that they share with other friends and family. And of course the house is amazing and is the result of many years of labor for the author. Be prepared to be asked for both the house and the book. I'm putting this under chapter books, even though this is a fully illustrated book. I recently wrote about me reading this book on my own and keeping a notebook on the story. This is Rosemary Sutcliff's retelling of Homer's The Story of the Iliad accompanied by illustrations by Alan Lee of The Lord of the Rings fame. Together this epic story of the fall of Troy unfolds before your eyes and makes it memorable. 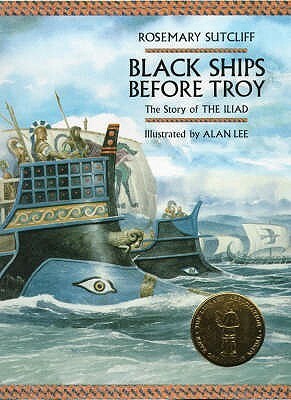 The same writing and illustrating team also wrote The Wanderings of Odysseus which we plan to read next. I wanted to like this Goudge novel more than I did. For me, it started off with such promise, but fell off the wagon somewhere near the middle where all the characters in turn seemed to indulge in strange mind wanderings that seemed to leave me the reader behind and wondering where it all went wrong when this novel is beloved by so many. Sigh. I'm sure it must just be me, so please don't let my confusion get in the way of you having a turn. Anyways, as they say, there are other fish in the sea. I saw this book and the next one featured on the popular Brainpickings website. I couldn't read all the stories that accompanied each family, but I spent time looking at each family's week worth of groceries which was extremely interesting and enlightening. 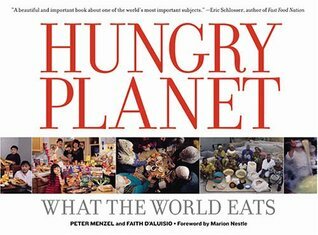 The comparisons and observations could last a lifetime and this book could easily be done ever fifty years(or less) for a social commentary on global eaters. Slightly dated, but still interesting. 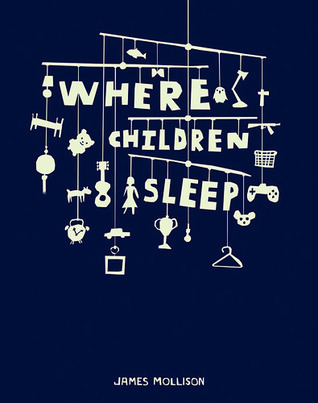 Another interesting social commentary this time on childhoods around the world. I have to say though that many of the children's bedrooms and lifestyles featured from North America, were unlike any children I have ever met in my lifetime. Those were definitely the where did they find these people moments. And your heart breaks for what many children have to live in or out of in some cases. Good books to keep around as reminders. 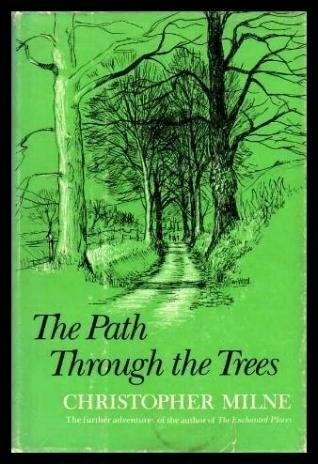 This is the second book in Milne's memoir trilogy and was another great read for me. Other than the chapters where he expounds on his atheism, I soaked up every word and lived in his world for weeks. The last book apparently spends even more time on his atheistic worldview which makes it likely that I won't be able to enjoy it when I can find a copy. But these first two books, The Enchanted Places and this one are wonderful reads. I'm almost done his book of essays and will have something to say about that next month if all goes according to my reading plan. As a general rule, I don't read cookbooks, I look at them, I use them, I refer to them, I buy them, but I don't actually sit down and read the whole thing in successive evenings. But Mimi, how could I not? I will say up front, I'm not sure how many of the recipes I would actually make start to finish, but I can certainly add in her techniques to liven up the cooking I do now. 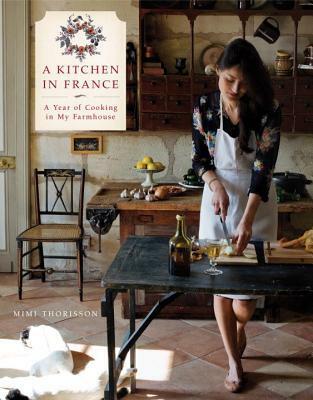 But I think I will be getting my copy and will at some point want to try some of her gorgeous recipes. It's a great book to read and enjoy even if you're not in your kitchen looking for dinner inspiration. Well done, Mimi and Oddur. I don't remember how the idea occurred to me, perhaps it was my January reading of Karen Glass' Charlotte Mason book, Consider This which is quite likely. Whatever it was, I realized that I had to do better keeping up with Seth's reading and making notes for myself to keep it all organized in my head. 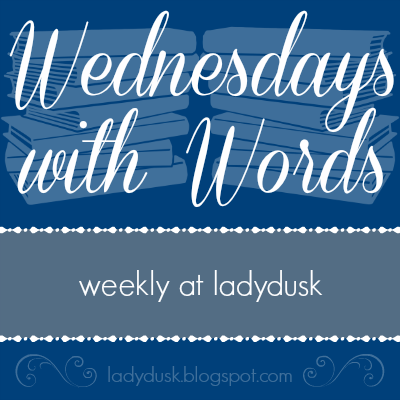 I do try to read many of the books I give to him each week for his free reads, but the books I ask for narrations from often fall by the wayside. So I started with the book that he was reading, Rosemary Sutcliff's Black Ships Before Troy and started reading it myself. But before I even got past the first wonderfully illustrated page, I decided I need a map. A map of the Mediterranean, with notes for which King and his people lived where. I got out an atlas. I researched the likely location of Troy and clicked links to other helpful material. I erased my lines and corrected the shapes of islands, peninsulas and coasts. None of this took me too long, but as I drew and wrote, my mind grabbed hold of this work and made it mine. I took the book to bed and scratched out "should" questions and "why" statements after my readings. I enjoyed myself. I brought the book to our next Morning Time and asked Seth if we could start over, reading the book aloud together at times. We took turns reading and then I asked if he had any "should" questions. We talked. Later, he wrote questions instead of giving narrations and we talked about some of those too. I showed him my notebook and asked him if he wanted to make his own map. He went further and made a chart of the characters and whose side they were on. We finished the book, both at different times, but with much more understanding of the story than before. And now I found a second hand copy of Sutcliff's other companion book, The Wanderings of Odysseus with the same full page illustrations by Alan Lee which we will start later this month. In the meantime, those lovely, but conniving people at Romans Road Media issued a Great Books Challenge to parents to purchase the The Aeneid and complete the dvd study by mid-May to earn another curriculum package for free. How could I resist? I am currently almost halfway through the lecture and reading series and loving it. I take notes on Mr. Wesley Callihan's dvd lecture, I do the readings, I take notes on my readings, write myself narrations, and loosely follow Kathy Weitz's literature study technique of Reflection, Connections and Commonplace in my notebook. Then I read her posts and see how far I have yet to come in my connections. But it's all good and others are posting about the challenge too, so I can read their thoughts as well. 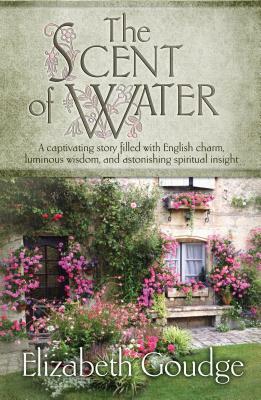 Plus if I have a question, I can post it on Kathy Weitz's Facebook page, Cottage Press and she and others will answer. I have shared some of the insights about Roman ideas with Shane, my husband, which reinforces the notes I've scribbled down. I have always kept lined spiral notebooks, I don't know when I started, but this is the first time I have used blank pages which has given me space and freedom to draw, paste and scribble notes wherever I please. And best of all, when I want to reference something, I flip back and there it is. My questions and connections may be made by others, mine are not original, but they are mine in the sense that I have studied, read and thought about the material. I came across these quotes from Italian author Umberto Eco last week and I saved them because they reminded me of why I read and study without being told to unlike my days of formal schooling. "An illiterate person who dies, let us say at my age, has lived one life, whereas I have lived the lives of Napoleon, Caesar, d’Artagnan. So I always encourage young people to read books, because it’s an ideal way to develop a great memory and a ravenous multiple personality. And then at the end of your life you have lived countless lives, which is a fabulous privilege." "I like the notion of stubborn incuriosity. To cultivate a stubborn incuriosity, you have to limit yourself to certain areas of knowledge. You cannot be totally greedy. You have to oblige yourself not to learn everything. Or else you will learn nothing. Culture in this sense is about knowing how to forget. Otherwise, one indeed becomes like Funes, who remembers all the leaves of the tree he saw thirty years ago. Discriminating what you want to learn and remember is critical from a cognitive standpoint."